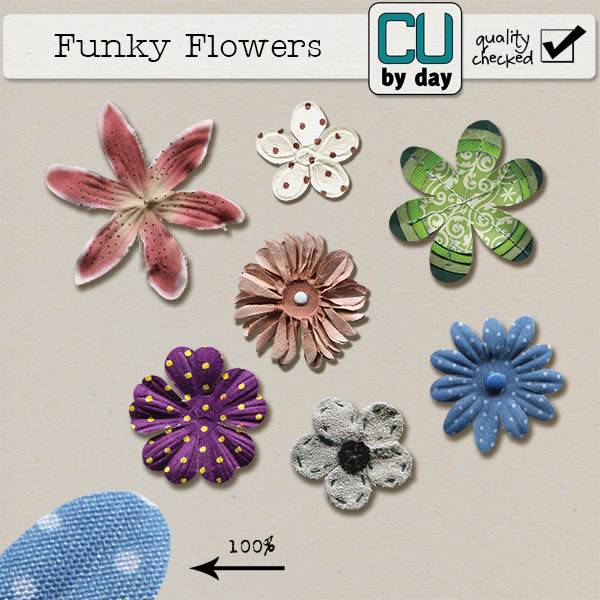 CU by Day: New Funky Flowers and Bundle Goodness! New Funky Flowers and Bundle Goodness! Good morning everyone! I have a fun set of Funky Flowers today. Lots of polkadots and textures and colours, the flowers are easy to recolour and look great in any kit! This weekend only, get them 25% off! 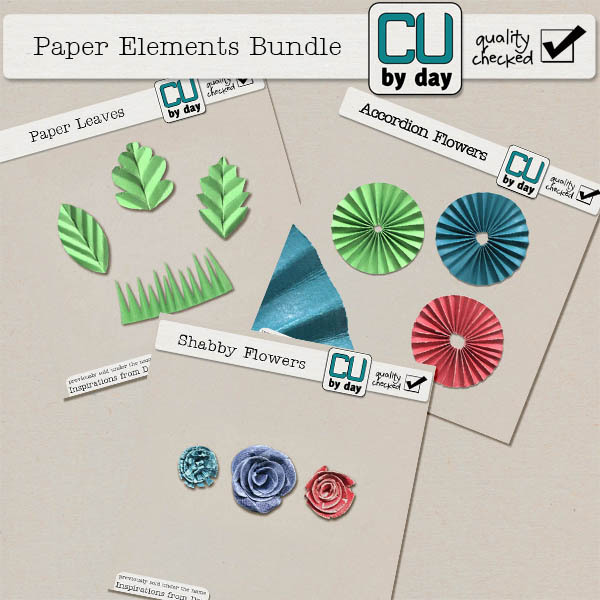 Also this week, I've bundled up some of my fun paper elements so you get an even better price! And unlike the new weekly deal, the bundle price won't go away! See my store for other fantastic bundled deals!